1.Cleveland installed America’s first traffic light in 1914. 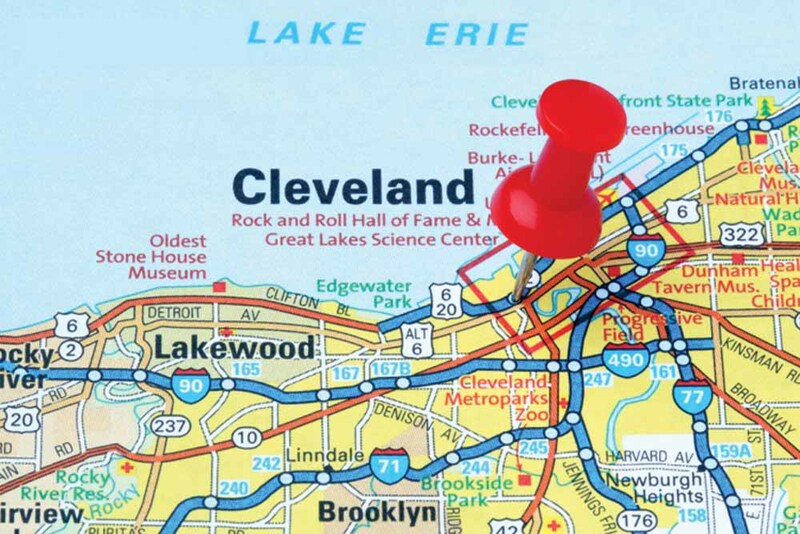 2.Cleveland houses the Rock and Roll Hall of Fame. 3. The WVU IMC Program is hosting an Open House for prospective students in Cleveland on Thursday, September 27! Join the WVU IMC Administrative Team, students (including me!) and graduates as we discuss all the program has to offer. Click here learn more or to RSVP! you pick out THE car. It has all the latest and greatest features, has that brand new car smell, it has been washed so it shines bright. Everyone will be looking at you driving down the road in your new, unique, awesome car, right? 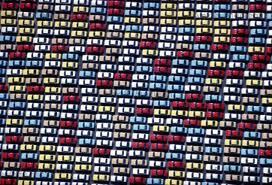 You merge out of the lot into traffic, all happy, only to realize that every car you see is the same car you just bought. You didn’t notice this before you bought the car but now your not so special, not so unique. It’s a sea of sameness. Literally hundreds of studies have been conducted over the years to try and determine how many ads a person is exposed to in a single day. One study I found from 1965 pegged it at around 1,900 and that was way before technology became so pervasive. Now, I cannot even imagine. Another more recent study I read said 3,000, another 5000. Not only is it hard for people to absorb all these messages, consumers now have the technology in their hands, literally, to turn these messages off. I have a sad confession to make. I don’t watch too many TV advertisements and I am in the business of advertising. I am a time displaced TV watcher. Outside of a live sporting event, 95% of my TV viewing is done using my DVR or Netflix. 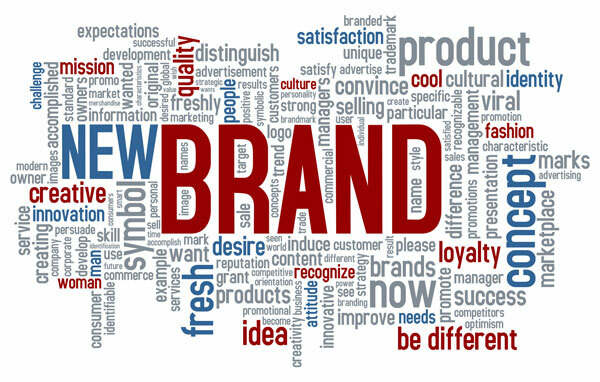 Not unlike many people, an advertiser really has to work hard for me to see their brand, make it stand out above the crowd, communicate its value to me as a consumer and differentiate itself. Another confession. That doesn’t mean I don’t pay attention to products that are important to me, like beer commercials. Segmentation Research. This answers the question, Who is our Target Audience? It is too expensive to target everyone so segmentation studies like MRI’s Survey of the American Consumer can help you identify the hand-raisers who are apt to want your product. 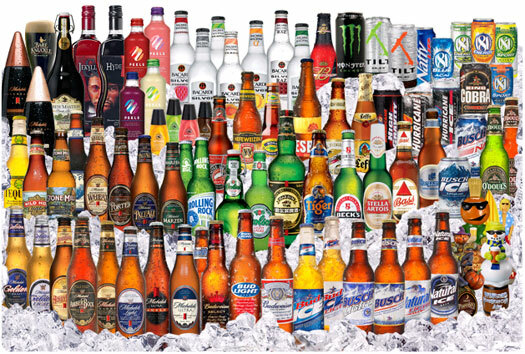 Brand Perception and Awareness Research. How many people in your target demo, how many are aware of you and what do they think of you versus your competition? If they are not aware of you, they will not consider you. These two research projects help you do three things: Determine your true target audience, help you understand how many of these people are aware of your product and most importantly, help you create the key messaging points you want to communicate to this audience. You can differentiate your message vs the competition and cut through the clutter. You get away from the sea of sameness. Now that I am on the homestretch of the IMC Program (I have less than a year left), I’ve begun to think about how I’ll spend my weeknights following graduation! Writing papers and discussion board posts won’t need completed, and as we all know, keeping up with our assignments can take time! As I’ve mentioned before, I really enjoy playing tennis and try to play at least once a week. I also participate in a few young professional groups, which I can continue to be active with come next year. Recently, I’ve now begun to see notice opportunities, like home projects, more travel allowances and other events that I might be able to schedule in once I receive my diploma. Sure, the IMC Program offers wonderful flexibility, but it is also hard work. Are there any hobbies that you’re excited to pursue once your studies are complete? Or possibly, any hobbies that you chose to pick up during your time in the program? The APR Process – Is it Worth It? That is a question I get asked all the time. I attained my APR in April 2011 and I absolutely think it was worth it. 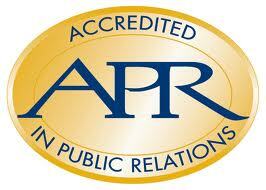 According to the Public Relations Society of America (PRSA) the Accredited in Public Relations (APR) credential is valuable to those practitioners who earn it; to the agencies, clients and organizations they represent; and, perhaps most importantly, to the public relations profession itself. Established in 1964, the Accreditation Program is the profession’s only national post-graduate certification program. It measures a public relations practitioner’s fundamental knowledge of communications theory and its application; establishes advanced capabilities in research, strategic planning, implementation and evaluation; and demonstrates a commitment to professional excellence and ethical conduct. I’m not gonna lie – the process is a bit daunting. In a nutshell, here’s how the process went for me. I APPLIED – In May 2010, I completed the APR application and sent it (along with the testing fee) to the Universal Accreditation Board. In about two weeks, I was notified by mail that I was eligible to pursue the APR. *Please note: I was lucky to get my employer to pay for my testing fee. It was considered professional development. Plus, if you pass the computer-based exam, you (or your employer) receives a rebate of some of the fee. I PREPARED– My local PRSA chapter offered study sessions to prepare for the Readiness Review and exam so I immediately signed up. They also paired me with a local APR as a mentor through the process. That was invaluable. COMPUTER-BASED EXAMINATION – It took three hours of my life. As soon as I was done, I got my unofficial pass/did not pass feedback, in addition to my strengths and weaknesses in tested knowledge, skills and abilities. I PASSED! – After a year-long process, I got my official letter of notification in April 2011 and had the honor of being pinned by the CEO and Chair of the National PRSA at our monthly chapter luncheon. The process was exhausting, but I learned a lot about myself both professionally and personally. Professionally, I was able to use the body of knowledge and preparation resources to fill gaps in my PR knowledge, skills and abilities, specifically in areas where my experience was limited. I was also armed with a strategic process on how to practice PR that would be ethical, credible and able to be measured. I have found that to be very important, especially when having to explain WHY we make the decisions we do in the communications field. Personally, after going through the APR process, I realized I could actually handle pursuing my IMC degree. I know it seems backwards. “You already have your APR and now you want a master’s degree?” Well, yeah. I do. I see the value in having both. Outside of the PR industry, the APR isn’t very well-known, but I can tell you that what I learned in the process made me a better practitioner. Even if the outside world doesn’t see the value yet – I do, and I don’t mind being an ambassador to help spread the word. At the same time, I know the reality is that having a master’s degree opens career doors wide open that were just cracked with my bachelor’s degree. So here I am continuing the journey. Have you thought about pursuing the APR? Would you “check your tech” at the door for a discount? 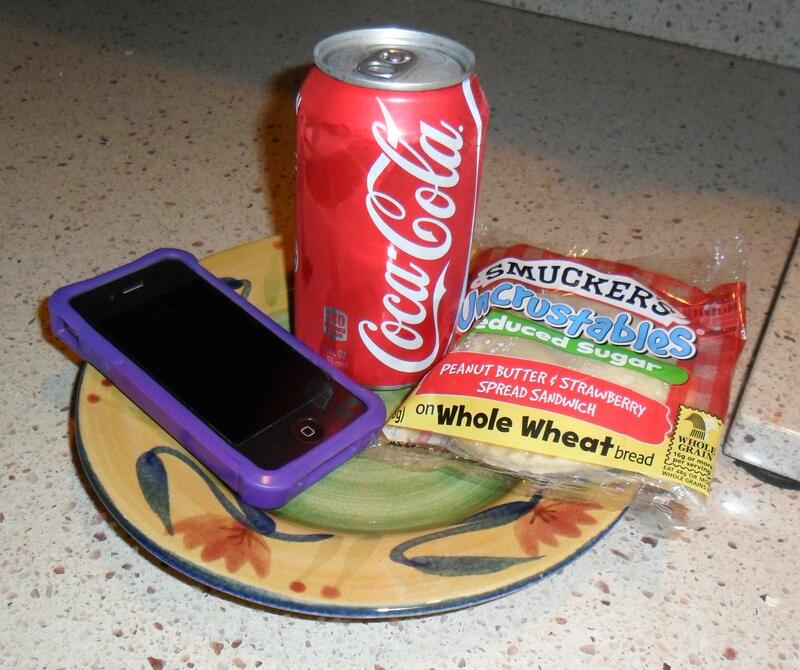 Does your meal typically include a cell phone? Are you addicted to your iPhone, iPad or laptop? I think most of my generation would have a hard time being separated from their cell phone for an hour. Turns out – restaurant owners have noticed this, too! Eva Restaurant in Los Angeles is offering a 5% discount to any patron who chooses to leave their technology at the door before being seated. A recent article from Mashable weighs the pros and cons of taking the restaurant up on their offer. Sure, my Facebook Newsfeed is filled with people checking-in at a location and photos of fancy food, but through this initiative, diners gain the ability to connect with their friends or family in-person. Most days during the week, I eat out alone. It is nice to take a quick, quiet break and catch up on my personal email, see what my favorite celebrities are posting on Twitter or even, play Words with Friends while waiting for my meal. In these instances, I might skip the discount, but if I was dining with someone, I’d probably “check my tech” at the door. How about you? Is a 5% discount enough to keep your phone off the table? Do you ever feel like sometimes you’re doing a little too much? So much has happened in the past few months that I have welcomed this little four week break from classes with open arms. In the year of 2012, there has been a whirlwind of changes for me…and the year isn’t even over yet. I started my IMC coursework in January and started a new job in March. In the midst of my summer courses, I’ve taken two vacations. One was to celebrate my wedding anniversary in Vegas and the other was my family vacation to the Bahamas. And then, during my last week of classes when my final paper is due…we move into a new house. As I said before, this break couldn’t have come at a better time. I’ve been able to work on getting the house together and learning my way around a suburb of Atlanta that is foreign to me. During my time off from class, it’s been an adjustment coming home from work and not needing to read a few chapters or log on to read discussions. I just keep reminding myself, ‘Don’t get used to it. School starts again soon.’ Luckily, I have a constant reminder since this past weekend I went school shopping for the kids. They go back to school one week before I do. Since we’ve moved, my commute to work is now about 15-20 minutes longer. Which means, I’ll be getting home 15-20 minutes later from work. I’m so anxious for the Fall session to start so I can figure out another adjustment to my already settled daily routine of balancing home and work. 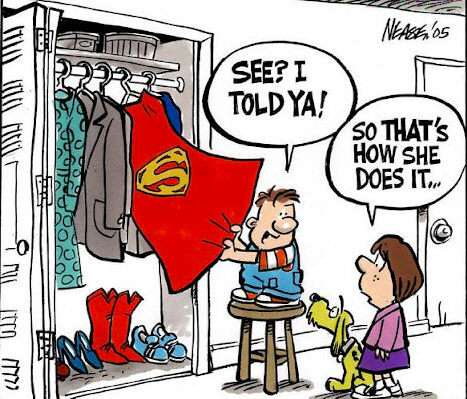 In one of those random moments, my son said to me the other day, “Mom, you do a lot.” Without even asking him to clarify what he meant by that, I already knew what he was talking about. At the end of the day, I just hope he is able to look back at this chapter of our lives with me trying to balance it all, and see that pursuit of higher education is valuable no matter how old you are. Do you feel like you’re doing a lot? How do you balance work, home and school? You are currently browsing the WVU IMC Blog blog archives for August, 2012.